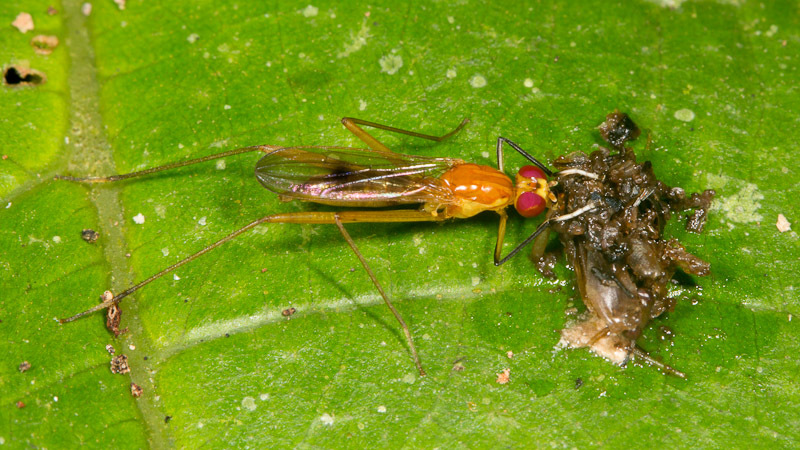 These two flies are sharing a meal. I can easily identify the larger one as a micropezid. I’m not sure about the smaller one though. You’ve found something extremely interesting here I think! The micropezid I believe is a large Grallipeza, although it’s not like any I’ve seen before! Do you happen to have other photos or even the specimen itself? 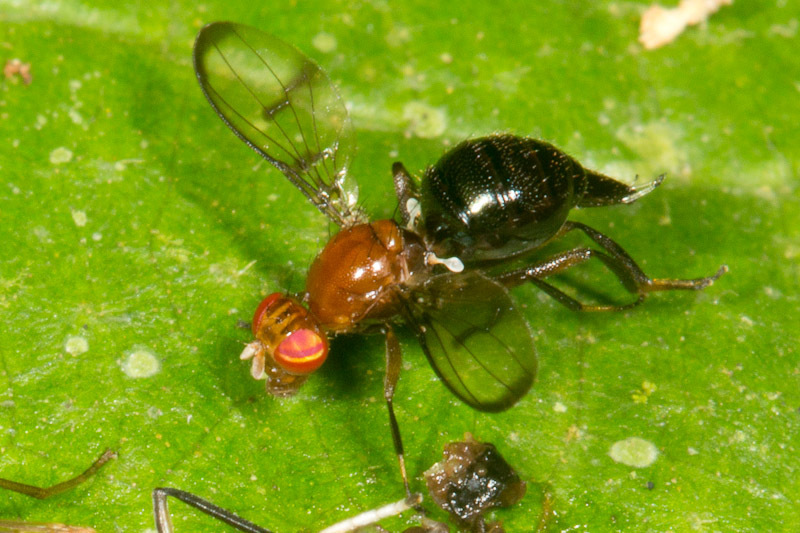 Normally the flies in this genus are quite small, but compared to that richardiid it seems huge. If you do have other shots of this one, I’d love to see them (as would my advisor Steve Marshall I’m sure)! I only have these two photos that I kept. I do have much higher resolution versions of these if that helps in some way. According to my notes the micropezid was around 10mm (body length).